Our original location on Ellis Avenue - just outside of Culver City, California started out as a smaller Private training area but the need for more space and for much better equipped facilities soon grew. In July of 2012 we went through another big transformation and in an effort to make PKG more accessible to many more people demanding this type of training. PKG relocated to a bigger State Of The Art facility on Westwood Blvd in the heart of the Westside of Los Angeles. PKG is also equipped with kettle bells, dumbbells, monkey bars, climbing ropes and other resources to help get you reach your goals and get in the best shape possible. The bottom line is this…we are not just another gym. We pride ourselves on being a place of learning and acquiring new skills. Whether you just want to knock the rust off or polish up on the skills you already have, we can help you. Wherever you’re at, it’s time to take your game to the next level and PKG is the place where you can do it best. At PKG, you can develop friendships that will last a lifetime, learn new life skills and get in the best shape of your life, all while having fun. 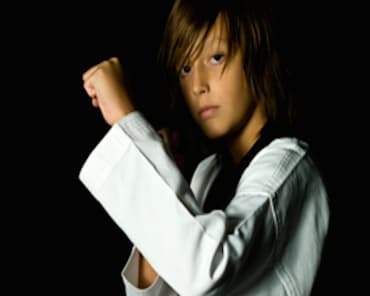 Our most important goal now and looking towards the future, is to share the benefits of training at PKG and the martial arts with as many people as possible.